Robert Espenschied added the Brengun Marcel Bloch/Aero MB-200 (For KP & Smer) (1:72) to his stash. Robert Espenschied added a new photoalbum. Konrad Limmer Very nice chopper !! scalemates Nice nice! (Ps: this should be a seaking project linked to a collection: "aircrafts kf the uss forestal"
Steven Van Dyck Robert, I'll tell you about an error you made on the sea king because I made it too myself. If you looked closely, you noticed perhaps that the inner wheels on both front wheel carriages are not touching the ground surface. At first I thought this was a kit error, but then I realized (maybe by looking at reference pictures) that I had erroneously removed part of the sponson fixing struts to be able to glue the sponsons against the hull. In the real helicopter, they have about 10cm spacing between the hull and them. When you put them apart again and add about 2mm of strut between, the carriage will touch on all 4 wheels. You only need to repaint the part that was behind the sponson, which is not so conspicuous. Robert Espenschied added the Trumpeter RA-5C Vigilante (1:48) to his completed kits. Robert Espenschied added the Revell A-6E Navy Attack Bomber (1:48) to his stash. Robert Espenschied added the Aoshima Royal Navy Heavy Cruiser HMS Exeter (1:700) to his stash. Robert Espenschied added the Aoshima Exeter Photo Etched Parts Set (1:700) to his stash. Dieter Bihlmaier Your Emden looks great Robert! Robert Espenschied added the Shapeways 10.5cm/40 SK L/40 Guns (1:350) to his completed kits. Robert Espenschied added the ArtwoxModel SMS Dresden & SMS Emden Wooden Deck set for Revell #05500 kit (2 in 1) (1:350) to his completed kits. Nathan Dempsey Nice build of an old kit. The NMF adds to the difficulty level and came out great! Maciej Bellos Beautiful Cutlass! Very well done! Francky Very nice but where did you get that carrier deck? Nathan Dempsey Very nice display. I really like the Cutlass. I'm curious about the carrier deck as well. Robert Espenschied added the Gallery Models USS Intrepid CV-11 (1:350) to his stash. Robert Espenschied added the Tetra Model Works CV-11 USS INTREPID Detail up set (1:350) to his stash. Robert Espenschied In general it was a straight forward build. The paint instructions in my kit specially for the interior were poor. I used the Eduard 1/48 as a guide. The decals are very thick and softener didn't work well on them. If you plan every step and you do enough try fitting you should do ok.
René "Bilbo" Bartholemy Nice work Robert! I get your point concerning the decals: the weight table seems to suffer from quite some silvering as a result. I especially like the realistic turnbuckles you used for the rigging! They look perfect! And by the way, what are those two white painted surfaces on the leading edge of the upper wing? Robert Espenschied added the Roden Fokker Dr.I (1:32) to his completed kits. Robert Espenschied added the Furball Aero-Design Lo-Viz Rhinos (1:48) to his completed kits. Robert Espenschied added the AirDOC A-7E Corsair II (1:48) to his completed kits. Robert Espenschied added the Hobby Boss A-7A Corsair II (1:48) to his completed kits. Robert Espenschied added the Italeri Nieuport 17 (1:32) to his stash. Thomas Bischoff a kit from the past Looks nice! 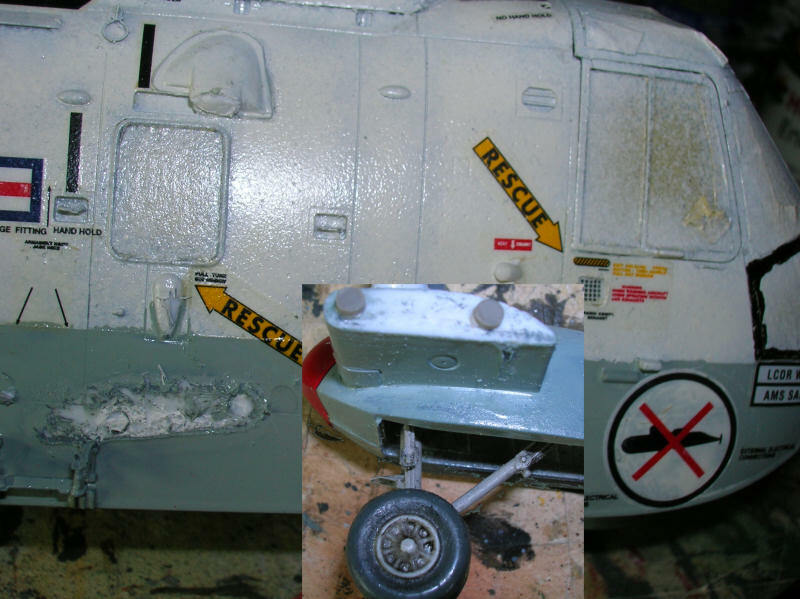 Robert Espenschied added the ESCI Vought A-7 Corsair II (1:48) to his completed kits.